The Fitness Mad weighted standard hula hoop features a 6-piece construction and soft NBR padding for added comfort. 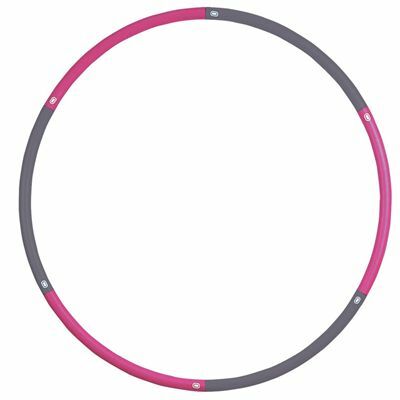 It has a diameter of 100cm (39.5”) and offers a standard hula hoop shape. The hoop weighs 1.1kg (2.4lbs) and is designed to help you tone the waist and abdomen. Additionally, it can be disassembled for easy transportation and comes in a pink/grey colour. for submitting product review about Fitness Mad Weighted Standard Hula Hoop 1.1Kg.